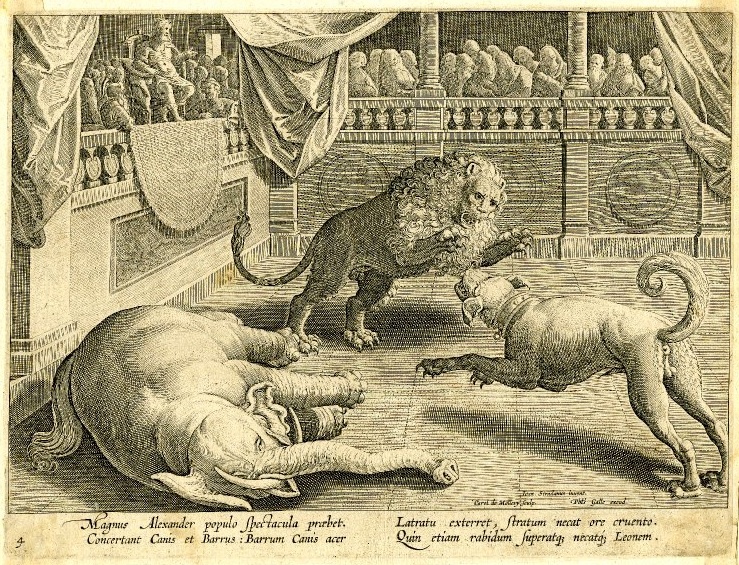 Originally refering to the hunting of wild animals for food or sport, venationes evolved into a form of entertainment in Ancient Rome featuring the harassment and slaughter of wild animals in public arenas. Tens of thousands of animals were imported at great expense from across the empire to be killed in front of large audiences at the Colosseum and the Circus Maximus. 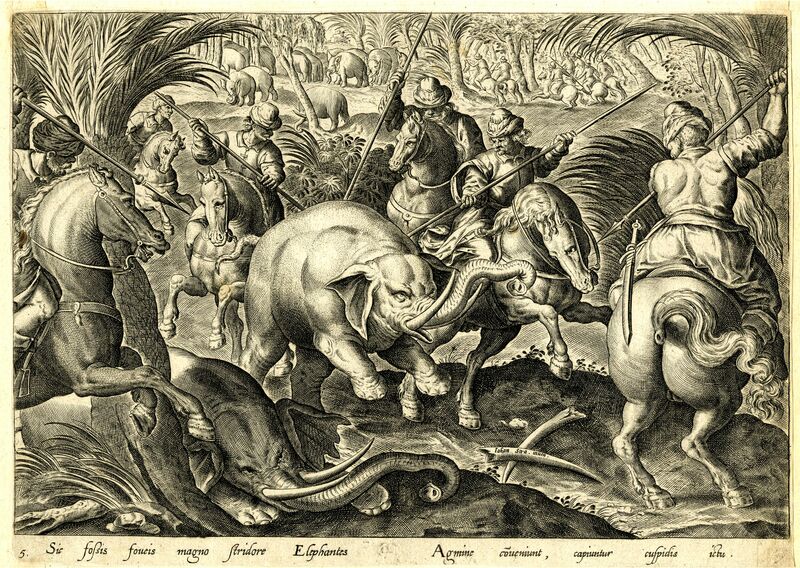 Criminals and prisoners of war were also killed, sometimes by animals, in a display of Imperial power and wealth. Many hundreds, perhaps thousands of elephants were among the slaughtered, some captured in war, others imported for the public spectacle. 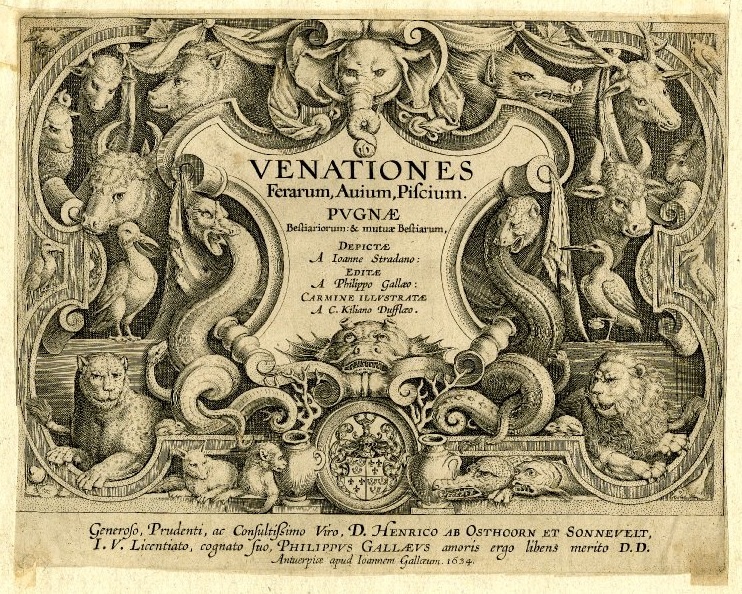 The engravings are from the series Venationes Ferarum, Avium, Piscium, by Carel van Mallery after drawings by Jan van der Straet, published in Antwerp in 1596 (or after). These examples are in the British Museum. 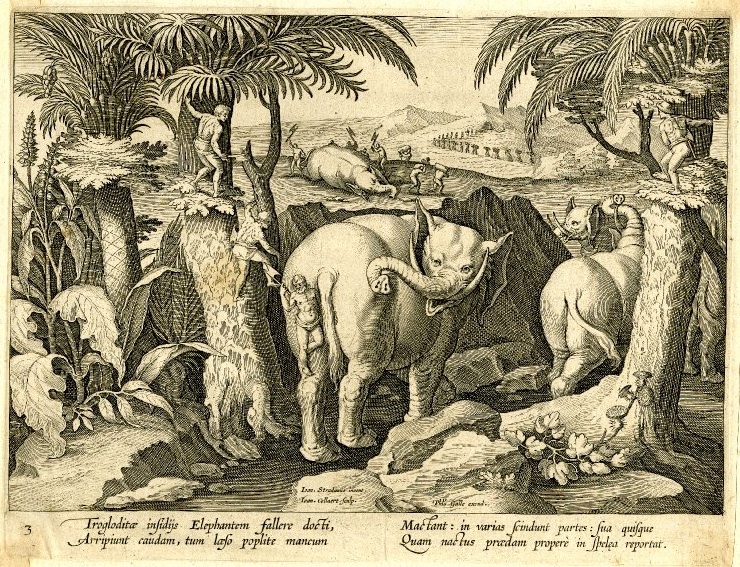 You are currently reading Venationes Ferarum, Avium, Piscium at Annone the Elephant.